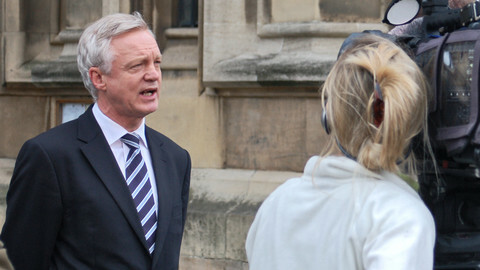 No date was set for opening Brexit negotiations during a meeting on Monday (12 June) between the EU’s chief negotiator and the UK’s top civil servant dealing with Britain’s exit from the bloc. 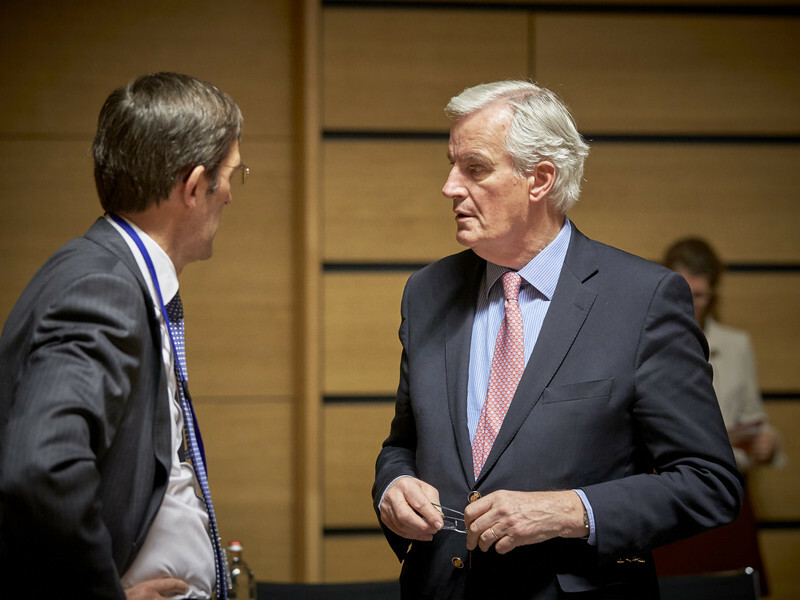 Michel Barnier, the EU’s top negotiator, and Oliver Robbins, the permanent secretary for the department for exiting the EU, met over lunch in Brussels, along with Tim Barrow, the UK’s envoy to the EU. 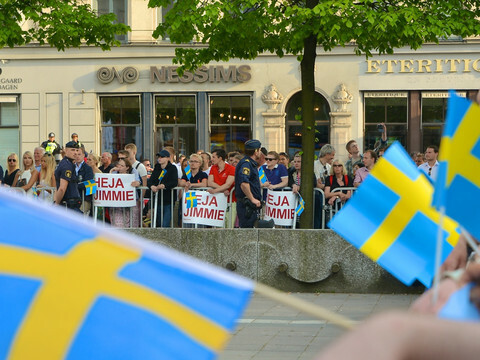 The three attempted to hammer out a date and a timeline for the negotiations amid concerns the opening of the talks could be delayed due to last week's British elections, which produced a minority government in London, whose future looks unstable. The top diplomats on Monday agreed to have further discussion at technical level this week, sources said. 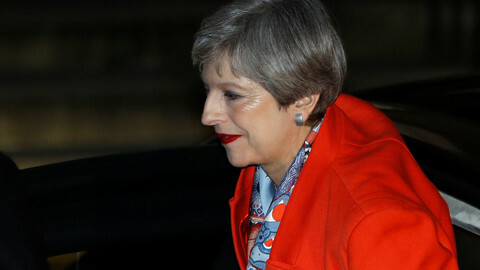 Negotiations were due to start on 19 June, but that date is now up in the air, as British prime minister Theresa May unexpectedly lost her majority in parliament. She is forming a coalition with Northern Ireland’s largest unionist party, the DUP, and securing the support of Tory backbenchers, while the EU is still in the dark about the UK’s specific negotiating positions. “We are fully prepared and ready for negotiations to start,” European Commission spokesman Alexander Winterstein said on Tuesday before the Barnier-Robbins meeting. "When will be the point from moving to talking about talks to more detailed discussions, I cannot say, it doesn’t depend entirely on us,” he added. 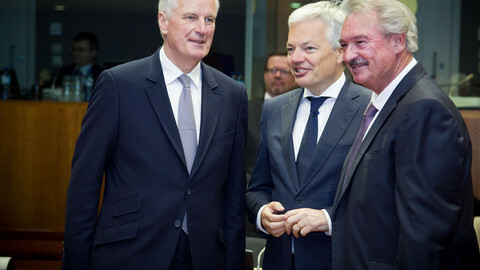 In an interview with several European newspapers, Barnier said that he was "preoccupied by the passing of time" and that he saw "no utility and no interest" in waiting further before starting the negotiations. "Any further delay is a source of instability, which the economy and employment do not need," he said. He added that he still wanted to reach an agreement with the UK "in October or November 2018". Talks about talks are expected to continue among diplomats and civil servants. Time is running out fast, however. Since May launched the formal exit procedure by sending her Article 50 notification letter in March, the clock has started ticking. Unless the government in London convinces the EU 27 to agree to continue talks with the UK beyond March 2019, Britain will automatically crash out of the bloc without a deal that specifies the terms of its divorce. Meanwhile, the Commission, the EU’s executive has published its final negotiating positions on safeguarding the rights of EU citizens living in the UK and UK citizens living in the EU, as well as on the financial settlement with the UK. The Commission’s starting position, which is bound to collide with London’s expectations once talks get under way, is for the EU executive to keep “monitoring” that rights are respected, and to have the European Court of Justice protect those rights for the lifetime of those citizens. The Commission also published what it thinks the UK owes the bloc because of previous obligations: their share of the EU budget, contributions to EU bodies and institutions, and commitments made to EU funds and facilities. The document does not mention a specific sum for the exit bill. Discussions on the financial settlement will prove to be highly sensitive, especially if May has a slim backing at home to push through any agreement. The UK questions whether it has any obligations to pay once it is out of the club, an EU source said. 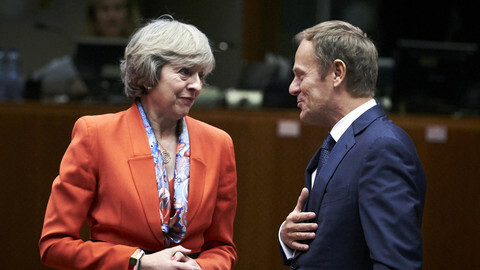 From warning about a delay for Brexit talks to calls for resignation, EU political leaders are putting pressure on the British prime minister. 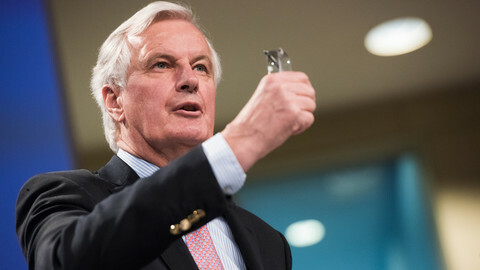 In its final preparatory act before Brexit talks begin, the EU has officially given the negotiating mandate to Michel Barnier. The French politician said he would like to start negotiations on the week of 19 June. 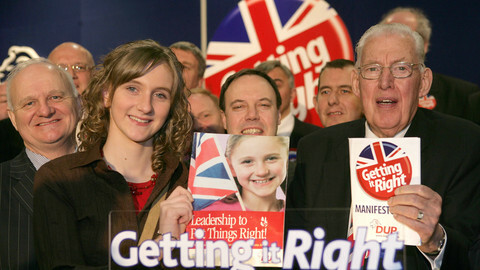 The British government is preparing to share power with a party, the DUP, known, if at all, for its links with sectarian killers and for its anti-gay views.